...double espresso, please! I love me some java, a good ol' cuppa joe -- full octane, por favor! And, I'm always grinning when I see my fellow paper crafters creating loads of coffee inspired cards. So, it's no surprise that I really enjoy the Coffee Loving Cardmakers blog, and love checking out the awesome coffee themed cards and more on their Facebook group, of which I'm a proud member. 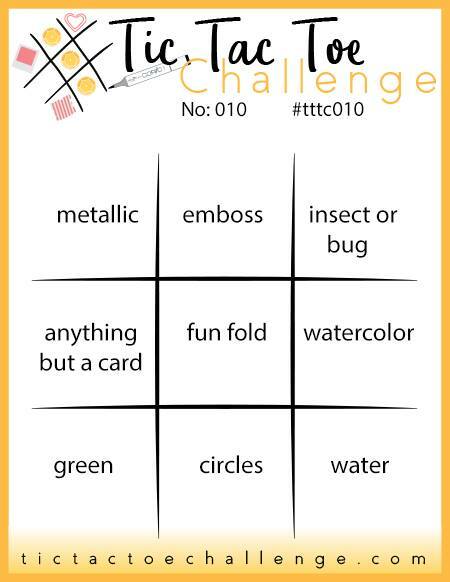 So, when I saw this week's Tic Tac Toe Challenge inspiration board, I whipped out my caffeine inspired scraps and went to work! Special Fold, or Fun Fold, cards are my favorites. I just "discovered" the Dutch (Door) Fold card and decided to use that as my starting point. I've been rationing my Doodlebug Design Cream & Sugar leftovers, but decided this card was definitely worth using the last of my favorite papers and stickers! 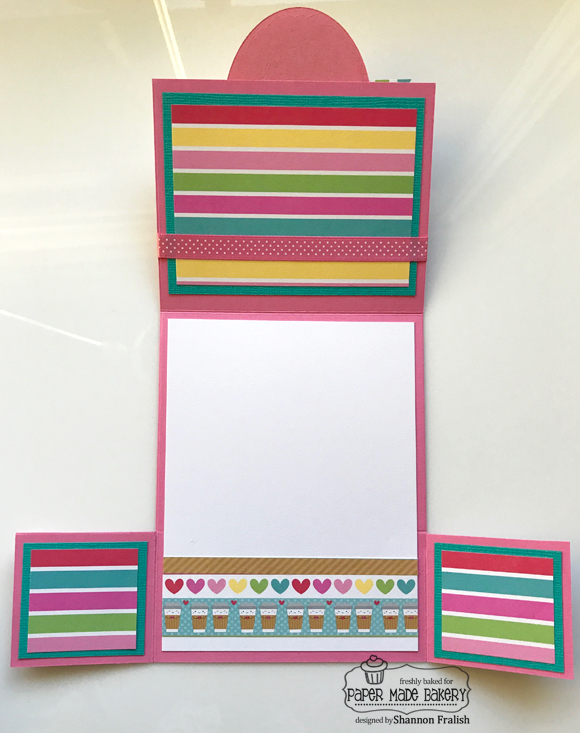 My inspiration was the Diagonal Row -- Special Fold, Oval and Die Cut. That half oval at the top is the die cut that hangs over the front flap. I love that we mat and decorate all the flaps (inside and out) with pretty patterned paper! 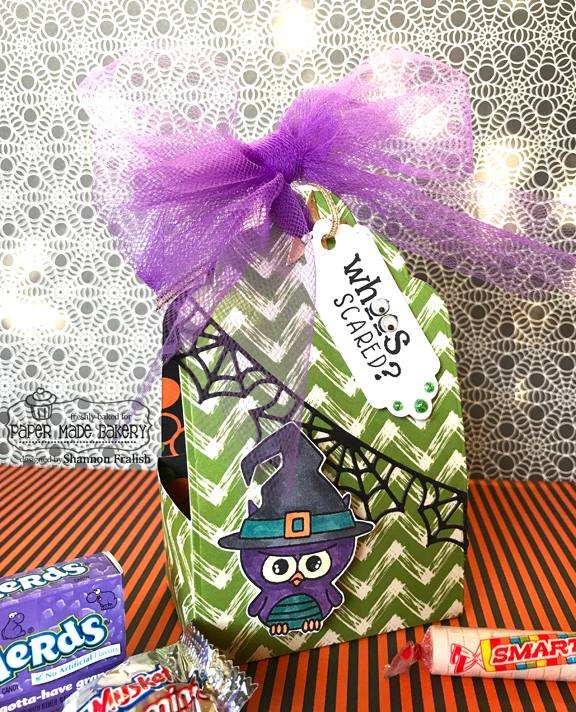 There's plenty of room to write a silly message AND a place inside the top flap, just under the ribbon, to tuck a coffee shop gift card, too! 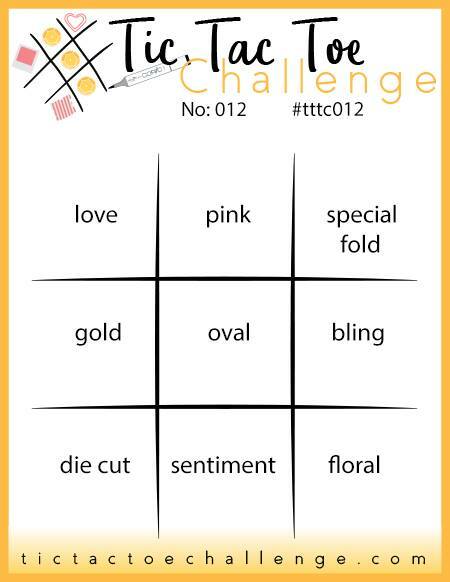 So, which row inspires YOU this week? Go and check out my Team O design team buddies' inspiration -- they are AMAZing!! 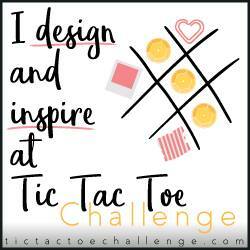 Tic Tac Toe Challenge is the most fun you can have with paper, scissors and a cuppa coffee!